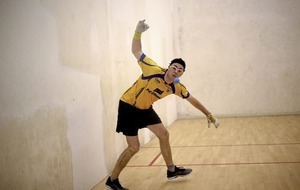 Handball historians have had cause to dust off the record books this week to confirm whether or not this year's famed Fonacab St Paul's Golden Gloves tournament will be the biggest ever. In all, 183 players from 22 counties have signed up for the event, which has long been regarded as the curtain-raiser to the 40x20 season and one its highlights. The event began way back in 1985 and has played host to a who's who of Irish handball greats. The legendary Michael 'Ducksy' Walsh was the inaugural winner, lending credibility to a fledgling event, and when renowned club official and future national president Sean McEntee spoke to competitors in the following months, he realised the appetite was there to make this an annual fixture in the handball calendar. And so, a tradition was born. Around Halloween (the date has been a movable feast but 'the Gloves' usually takes place in late October or November), the best players in the land - of all ages and abilities - set their compasses for west Belfast, where they are joined by a strong local contingent, too. The event idled a little around a decade ago before being revived by current tournament director Séamus Ó Tuama and this year's incredible turnout is proof of the job Ó Tuama and his team have done in establishing the Gloves as the leading tournament in the country. "It's very emotional for me because it makes me think of past glories in St Paul's, past players and past friends who have passed away. "You think of Stevie Madden, Jim McCullough, Sean Boyle, Kevin McCaffrey, boys who would have helped out and played in the Golden Gloves over the years. 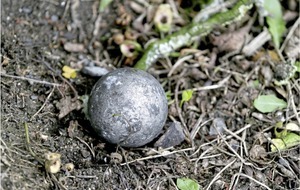 It's about putting something back," Ó Tuama, a selector with the Antrim U20 footballers this year, told The Irish News. "I moved up beside the club in 1985 which was the first year of the tournament and to go in and have my eyes opened by this wonderful game which I had never been exposed to before. "Then I became involved in it and ultimately got hooked - I played football and hurling for the club as well but for me handball just had that magic about it. "It brought me to different parts of the world as well but it all stemmed from St Paul's and really from the Golden Gloves. "Sean McEntee had that tournament running at a level that I suppose we are trying to get back to. "For a few years it was kind of on life support but in the last couple of years, a new group of young enough people came on board and breathed new life into it." Ó Tuama namechecks the contributions of former Antrim hurler and top Masters handballer Paul Graham ("his business contacts have helped really lift things with sponsorship"), along with former world champion Aisling Reilly, Down handballer Sean Digney and Lurgan native Charly Shanks. Needless to say, the weekend itself is a mammoth undertaking,with 180 matches down for decision over nine courts in St Paul's, Gort na Mona, Rossa, Coláiste Féirste and Queens. Shanks, the number one seed and Ulster's best hope in the draw, reckons the Open draws are among the best yet. “We invited the top seniors and the young stars as well, we have the likes of Tiernan Agnew from Clare, Galen Riordan from Wexford, Sean Kerr from Tyrone, they're all the young guns plus the established top players like Martin Mulkerrins from Galway and Diarmaid Nash from Clare so the Men's Open has 21 very strong players and the Ladies Open is headed by two of the best in the world in Catriona Casey and of course Aisling Reilly." Attracting such talent does not happen by accident. "We have been working hard at it for a couple of months and we're aiming to raise the bar and keep bringing the top players back to Belfast. We have a really stellar line-up this year in the Men's and Ladies Opens," said Ó Tuama. But while the Golden Gloves - which draws its title from the unique framed set of handball gloves presented to Open winners - is about showcasing the elite, it is all about the grassroots, too. "This weekend pulls all the handball community together in terms or organising, it galvanises Belfast handball. "To have people from different clubs who are traditionally rivals pulling together to hos the handball community from all over Ireland is an amazing thing." While the organisers are striving to bring the event back to its glory days, there is a feeling they may even have surpassed them already. Last year, McEntee came along for a look and was "taken aback" by what he saw. "And that for me," smiles Ó Tuama proudly, "is the ultimate seal of approval." *The Fonacab Golden Gloves serves off this Friday. 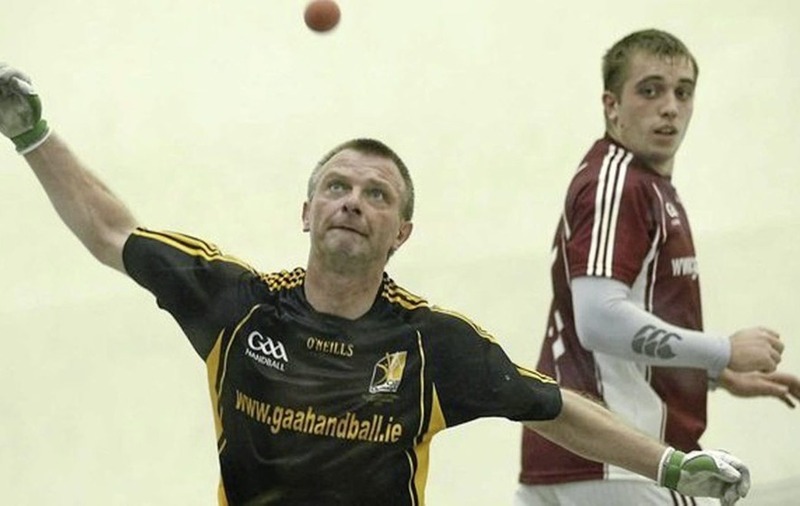 See www.gaahandball.ie for draws and schedules.